Have you ever clicked on the tab More that appears along with other tabs such as Timeline, About etc. on the home page of your Facebook? I did that yesterday and was astonished to see a new submenu under “Groups” called “The Departed”. This sub-menu was blinking as if to invite you to click. We see that this is often done when anything new is introduced to attract attention. I clicked on this new option. And I was in for a surprise. There was a major change in my homepage. The list of friends I now saw included all my deceased dear ones, whom I missed, loved and respected. I knew that their Facebook pages were still “open” and accessible and now these pages were “dead” and obviously with no “activity”. But under the new option, these pages were active. These close friends of mine were maintaining their social network even in the “other side” of the world, sending messages to each other, flagging the likes and and posting photos of the future as they could see. I guess these folks could see the future much more clearly as they were not confused like us. We, the living, keep thinking too much about our present and the past and little about the future! That creates a haze. I got a message from a friend from IIT Bombay who studied with me. We lost him recently due to a massive heart attack. “Not yet there my friend, but I am somewhere on my way to see you soon” I responded to him. I explained to him the new option Facebook has created to access the faces of the departed and socialize. “Oh, I now understand. So, looks like Facebook finally implemented it. Last month Mark Zuckerberg took an opinion poll and most of us voted for this innovation. It gets boring sometimes and most here miss old friends like you” My friend said. I saw my friend’s collection of photographs of the future. He, being an air pollution specialist, had a collection of photographs of cities – how they would look in the future given the severity of air pollution. Well, we all know that so much is being talked about urban air pollution, and so much being measured and reported but so little is being done regarding ground level action. I saw in my friends photographs that in most cities, people were moving in masks, skies were grey and gloomy and dedicated hospitals were set up for pulmonary diseases. This worried me. “Bye my friend – see you again” I closed our conversation with all the sadness. I browsed my new list of “friends” and saw one of my mentors and an inspiring personality in the field of water quality management. We lost this great personality rather prematurely. “Good to see you Dr Modak after quite a while” He was delighted to connect with me. He was absolutely right – we have no single example to demonstrate that we could actually improve water quality in our rivers. What a shame! He showed me a photograph of an empty stretch of a river (here used to be a river! He used the emotion of a sad face) and showed me more such depressing photographs ending with a river that looked more of a dump site of the solid wastes! I continued chatting more with several of my dear friends, my mentors and guides in my life. Some of them sounded a bit positive and recommended several simple to implement steps –What finally amounted was better understanding and commitment of our political leadership and the behavioral change in people (of all sorts). Both tasks difficult to achieve. I thought Prime Minister Narendra Modi gives some of us an hour’s time (I know I am asking a lot) and calls his Ministers and Top bureaucrats to listen to us. Given the political acrobatics, global challenges and terrorism spreading like wild fire, I am aware that there isn’t much time to spare for the PM but doesn’t environment matter? Environment does matter when we think of the future. I logged off from the Facebook. I wanted to speak to my Professor Friend on this uncanny experience. “He should be told as I know he will never click on the More option to connect with the departed” I said to myself. I was disappointed. How can this be possible? I accessed my home page on the Facebook again. But the Professor was right. There was no such option called “The Departed”. Probably Mark Zuckerberg had put up a Beta version – just for a while. Why don’t you give a try… Never know it could work for you and you may actually hit on this option. I was to attend a UN conference in Prague. The organizers as a part the “deal” had asked some of the us to draft the outcomes of the meeting so that the summary could be presented in the concluding session and “ratified”. We were told to stay late in the evening and continue to work in the meeting rooms. The work was divided and each one of us was asked to capture the key messages of the allotted session, based on the speeches made and comments from the participants. I was not happy with this expectation. I knew that these kinds of meetings really do not lead to outcomes worth discussing and be agreed upon. I am saying this out of the experience I have in attending several UN meetings as a resource person. The summaries are drab, wordy and sometimes even meaningless. In our resource person group, there were however few younger colleagues in the mid-forties, who did not know this truth. Some of them in fact felt elated to be called as the resource persons so that they could sport this title in their CVs. I had planned that after the days long, routine and ritualistic presentations to get out on the streets of Prague. You need to have a good drink after the dose of terms like sustainability, striking partnerships, promote harmonization etc. You are often siting in a poorly ventilated room. 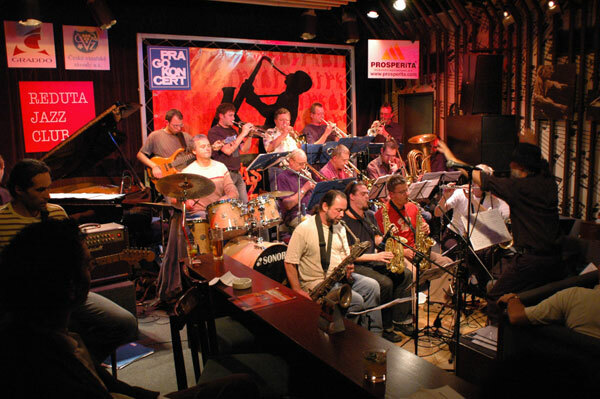 In Prague, my favorite place has been the Reduta Jazz Club. It is situated on Národní street in the centre of the city, close to the National Theatre. Redutta is a legendary jazz spot where stars like Ray Charles and Louie Armstrong have played including Bill Clinton. It’s a small, old and traditional (a little shabby) club located in the basement floor. My idea was to give some excuse to Carlo, the organizer and escape the so called working session of the evening. During the lunch break at the meeting, Carlo introduced to me to Tamara, a Japanese-American girl. “Tamara is a professional writer” Carlo said. “I use her in most of the UN meetings as she is quite familiar with the protocol (especially in citing the country names etc.). She will take over the draft summary you guys will do and polish to come up with a final draft that we could present in the last concluding session.” Tamara was a pleasant personality, with chinky eyes and an American accent and had a smiling face. She must be in her mid thirty. “Nice to meet you Dr Modak, I look forward to drafts from you and your colleagues”. I told Carlo about my unhappiness of spending time in the evening to work on the draft summary. I told him that I plan to go to Redutta. I assured him that when I will return, I will work in my room and email the draft each night to him and Tamara. The meeting was for two days and each day one session was allotted to me. Carlo wasn’t happy with my proposition as he wanted that the resource persons discuss as they write the draft and thought that I could provide the overall direction. But when I pleaded, he gave up “But Dr Modak, please ensure that your drafts reach me, Tamara and other resources persons in time”. I assured him. I realized that my seniority, age and long connection with the UN system worked. “But Tamara, how would you manage?” I said this with great concern “You are in charge of the final summary and perhaps this would require your continued presence in the meeting room. There are 7 sessions over 2 days with 20 speakers and 80 participants – that’s going to lead to a large cloud of words that will need to be burst to get some drizzle” I said in a lighter vein. We reached Redutta in time and grabbed good seats next to the stage. We got craft beer to start with. The jazz band was fantastic. After the first break, Tamara and I started talking. She told me about her life. Her father was American and mother a Japanese. She grew up in Washington DC, did mass communication in the bachelors with MBA from Wharton. She worked for a News magazine in New York and in the past five years started freelancing. UN was one of her major clients. Well, on an average at least 4. I also do post production of the event apart from the summary. I have a team of photographers/videographers who do for me photoshoots and video bites. The second session of the Band was getting even better. Both of us were enjoying another round of craft beer. After the second session got over it was already 10 pm and I realized that were getting late. I told Tamara that let us return now return to the hotel considering that I have to do my draft as promised to Carlo and she will need to work on the drafts of the resource persons. Tamara held my hand and spoke to me in a hush hush tone as if she is revealing a big secret. I always suspected this cheeky UN strategy but didn’t realize that there was the case in reality. So Tamara was a highly-specialized writer and hence a valuable resource for person like Carlo. The outcomes of the event were already decided and me, other resource persons and even the participants were just the pawns of the “game”. “So, let us stay more for the third round Prasad. Its the famous Alice Springs Blues Band who would play” Tamara held my hand and kissed on my cheek. And I stayed. The World Conference on Circular Economy will be held between June 5 and 6 at Helsinki. Nearly 1500 participants are expected as the registration is free. This ground-breaking event will present the world’s best circular economy solutions and will gather together the most recognized experts and decision makers in the field. I spoke about this event and in general on the concept of circular economy to my Professor Friend. “Are you attending this event?” He asked. Professor agreed, especially on the point on Laiska Karhu. “You have a good reason not to go Dr Modak”. The next day, early morning, the bell rang and Govind, my newspaper boy, was standing outside the door. “I already paid your bill Govind and the used papers will be ready for you to pick up on next Sunday”. I have a good deal with Govind. I buy from him newspapers every month for Rs 560 (US$ 8) and he buys from me the used newspapers for Rs 100 (USD 1.5) based on the weight. This makes the newspaper go circular. Oh, how did you come to know? Hope this was not in the news! But I have decided not to attend this conference. What is your question anyways? I knew that Govind was an educated and smart person. I told him that recycling Waste paper is today big business in the world. A Chennai-based company, Global Waste Recyclers Ltd ( GWRL) started this business some 50 years ago. It is the largest and the only organized player in this line of business in the country. Govind was really impressed the success story of GWRL. “You must go the World Conference on Circular Economy in Helsinki and talk about this story.” He said in a serious tone. “But Govind, I am not going to Helsinki” I told him. I saw him rather disappointed. “Mr. Gehlot, you don’t have to attend World Conference on Circular Economy in Helsinki to know that. The Place to visit is ReTuna Återbruksgalleria in Sweden” I saw Raj rather confused. So, I told him the story. ReTuna Återbruksgalleria is a shopping mall that sells only repaired or upcycled products and has gone beyond the local drop-off centers. Here, the dropped off goods are sorted into various workshops where they are refurbished or repaired. There are 14 workshops that include furniture, computers, audio equipment, clothes, toys, bikes, gardening and building materials; all garnered from second-hand products. Several of these shops function as “do-it-yourself” showrooms, where customers can learn how to repair or refurbish. The products then reach the mall that includes a café and restaurant with a heavy focus on organic products. There is a conference and exhibition facility complete with a specialty school for studying recycling. Visitors can enrol in a one-year Design-Recycle-Reuse program. In addition, ReTuna offers study visits during which attendees can learn about the inner workings of the mall. These visits cost about $136 and are held once a week. The Mall is operated by the local municipality and has benefited the local economy by creating 50 new repair and retail jobs, and providing space for private start-ups and local artisans. The biggest bonus for the Swedish community is relief from the tremendous burden and expense of disposing of unwanted goods. ReTuna Återbruksgalleria is about 75 miles west of Stockholm. It opened in August 2015 in the city of Eskilstuna. ReTuna is not only the first shopping center to sell recycled and reclaimed goods in Sweden, but also in the world. 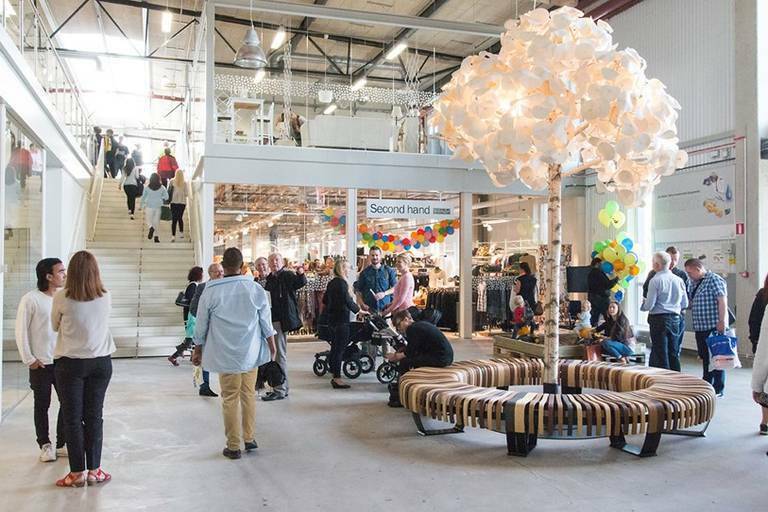 Eskilstuna’s 67,000 residents seem more and more open to the idea of buying repurposed and refurbished goods, which is inspiring ReTuna to set an even bigger goal: to position this town as a global destination that will showcase what sustainable living and the circular economy are all about. ReTuna Återbruksgalleria is a living demonstration of the circular economy. Raj Gehlot was really inspired with my story on ReTuna. “Let me work on this and make one mall of Ambience like ReTuna” he said. “But please do visit the World Conference on Circular Economy in Helsinki to get more such stories”. I said “But Mr. Gehlot, I have decided not to attend this event”. I saw that Raj was not happy about my decision. In the afternoon, I met Professor over a lunch and told him about Govind and Paper recycling and my encounter with Raj Gehlot in the Ambience mall and the story of ReTuna. Open Your Box:Unpack your merchandise from your Amazon shipping box. Pack Your Box:Fill the box with usable clothing, accessories and household goods you no longer need and print your free shipping label from amazon. Donations go directly to your nearest participating charitable organization using a free shipping label and empty Amazon packaging box. Your donation helps support employment placement, job training and other community-based services. So, the packaging box gets recycled, old clothes get used and funds are created for increasing employment. Professor smiled and said. “We need to convince Amazon to do this bit in India as well. Talk to Jeff Bezos, CEO of Amazon when you are at the World Conference on Circular Economy in Helsinki”. “But Professor, I already told you that I am not attending the event”. I was rather irritated now. Professor asked me to reconsider. “Don’t make a fuss. Stay a day longer to visit Laiska Karhu” He said this while extinguishing his cigar. In the evening, I met with Hardik Shah, earlier Member Secretary of the Gujarat Pollution Control Board and Dr K. Rao of ACC Ltd. Both talked about examples of Circular Economy in Practice in India. Examples included co-processing of hazardous waste in cement kilns, potential recycling of resources (metals and plastic) from abandoned vehicles, manufacturing of recycled construction aggregates and pavement blocks from construction and demolition waste and plastic to fuel plants. Hardik Shah mentioned about the on-line waste trader created in the State of Gujarat that is used by thousands of industries to recycle waste as a resource. Both Hardik and Rao offered me their collection of PowerPoints as they thought that these slides will be useful at the World Conference on Circular Economy in Helsinki. I told them that I am not attending World Conference on Circular Economy in Helsinki. Both Hardik and Rao were disappointed. “You need to tell the world about India’s circular economy”. They said. “The recent India report by Ellen MacArthur Foundation does not capture the circularity of material flows in India. So please reconsider”. I presented to them the 2013 book by Adam Minter titled Junkyard Planet: Travels in the Billion-Dollar Trash Trade. “Read this book in the context of circular economy” I said. “There are stories of recycling in the State of Gujarat and of course from China”. I thought Professor made good point. Integration of Swatch Bharat Abhiyan and the Make in India was an innovative idea. But I disagreed to his optimism on the Indian Resource Panel. Considering everything, I thought I should not miss attending this event. May be I should slip out earlier before closing of the sessions to avoid long queues for the lunch. I told my travel agent to book flights between June 4 and 8. 5th and 6th were the conference days. 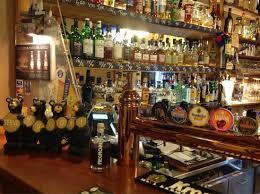 I reserved the evening of 7th for my favorite jazz bar Laiska Karhu. I booked a table for two. Not for the Professor – but for someone whom I knew and was keen to see again. Was it the real reason for attending the World Conference on Circular Economy in Helsinki? Technologies are always evolving and present several options while making decisions. Generally, costs are given prime consideration as a selection criterion while meeting the required target of efficiency and yields. Costs include the capital and operating costs on a life time basis. We calculate the Present Worth of the two options by amortizing the operating costs and help us to make a comparison to select the technology of the least life cycle cost. It has been now realized that costs alone may not be the sole criteria. While cost could be one of the critical and deciding factor, there could be other considerations as well, especially on the environmental and social frontiers. One of the important environmental factors is the generation of wastes and emissions. We consider this perspective by adding the costs of pollution control and monitoring to the base costs of the technology. These costs include installation as well as operating costs. A technology may not be preferred when costs of pollution control are added to the base costs. We see this situation when comparing biological processes with those following the thermal or chemical routes. Use of technologies that have low Material Intensities or MI (including embodied energy as well as factoring virtual forms of water) is sometimes preferred. These decisions are taken by performing Life Cycle Assessment (LCA) to helps to arrive at the estimates of MI. You may like to visit “databases” created by Wuppertal Institute in Germany. A paper on Assessment of wastewater treatment technologies: life cycle approach by Pradeep Kalbar, Subhankar Karmarkar and Sham Asolekar will be an interesting read. Another criterion is the emissions of Greenhouse gases (GHG). While there are no emission limits legally prescribed, most would like to choose technology option that has minimum emissions of GHG. Such technologies are often called as low carbon technologies. Technologies that use more of renewable energy get preferred as compared to those which may use of fossil fuels. You may find Buyers Guide to Renewable and Low Carbon Technologies as an interesting read published in the UK. Exclusion is another environmental criterion that could decide the choice of technology. For example, we may not like to prefer technologies that use mercury or chlorine in any form. On the other hand, there could be preferences. We may prefer technologies that can make maximum use of the locally sourced materials to avoid transportation and boost local entrepreneurs. We also need to factor the costs of disposal of the end of life of the equipment. In some cases, because of the use of non-biodegradable or potentially hazardous materials –costs of disposal of the used or abandoned equipment could be substantial. This aspect could influence the final decision between technology options. Environmental risk is another perspective. Some technologies may be compliant to the waste/emission standards that are legally prescribed but may pose risks of process upsets even leading to disaster during operations. These risks may arise due to process abnormalities that may occasionally arise – albeit rarely, posing certain restrictions on continuous operations or requiring on-line monitoring with process control or investments on the back-up systems. These considerations could add to the total costs. Social considerations could also play an important role in the selection of technologies. These considerations include local employment. When one of the objectives of investment is to improve livelihoods of people, then technology options that generate local jobs may be preferred. Here low to moderate scale of technology and associated investments, especially in offering decentralized solutions get preferred. These technologies should be easy to understand and operate. When we address all the above considerations, we generally come up with design of a “system” that incorporates a “mix or combination of technologies”. In this system design, we ensure that technologies are in place for pre-treatment (that may include separation), main processing, with add on pollution control and recovery units and process control instrumentation (monitoring and interlocks) for ensuring safety during operations. This entire system then needs to be assessed based on economic, environmental and social parameters. For this purpose, quantitative or qualitative schema are used such as weighted scoring and Analytical Hierarchical Process (AHP). You may like to read paper by Tung Nguyen Nhu on Application of Analytical Hierarchical Process Method to Select a Technology Option for Water Treatment in Rural Settings. When investments are sourced from public funds, a transparent process of technology assessment needs to be followed. I developed for the International Environment Technology Center (IETC) at the United Nations Environment Programme (UNEP), a methodology called Sustainability Assessment of Technologies (SAT). Figure below shows the steps followed. SAT methodology operates in tiers such as screening, scoping and detailed assessment. It follows a PDCA cycle as implemented in the most management systems to ensure that feedbacks on the use of technology is factored. Importantly it involves expert and if appropriate a public consultation. 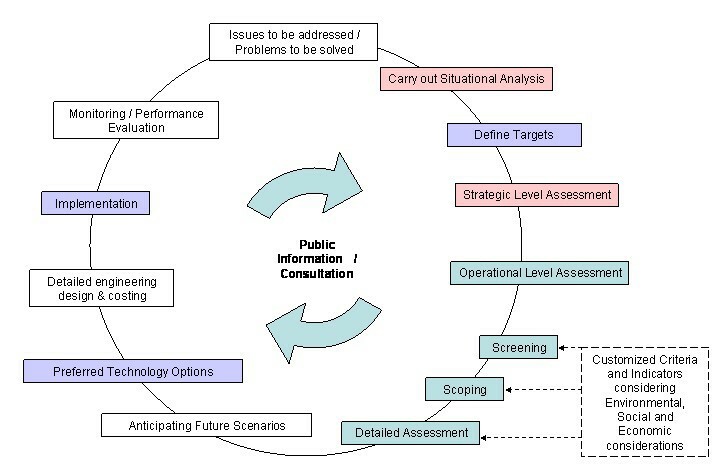 Lastly, the methodology could be used to select options at both strategic and operational level e.g. whether decentralized solutions are better suited than the centralized option. More details on SAT can be accessed from the manual available online. Applications of SAT methodology have been carried out for making choice of technologies across sectors such as water treatment, wastewater recycling, waste recovery etc. The SAT manual cited above includes a solved example that could be perused for better understanding. I spoke to my Professor Friend about how sustainability could be factored in the technology selection. I told him that the “costs” incurred due to wrong selection of technology could be more than the apparent savings! Professor let me speak while enjoying his cigar. After I finished, he extinguished his cigar and said “Dr Modak, what you said is worth in a conference. The world would have been different or the research would have changed its course – if sustainability considerations were actually considered while making the right choice on technologies. I realized that there are hardly any choices to make! !